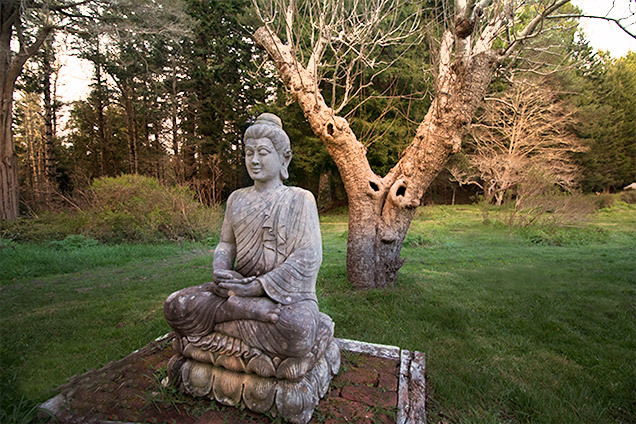 We think of The Retreat at Thera as a place to come for contemplation, incubation, getting in touch with the wisdom of the unconscious, and for the total care of one's inner child. It is also a marvelous space to write! For many years this was a place where people stayed when they came here to Thera to work with us. 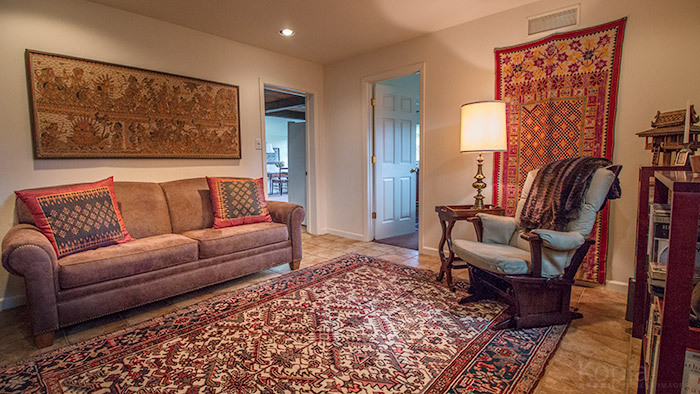 We are now making the two Retreat apartments available for use as personal retreat spaces for those of you who would like to take some quiet time for yourselves in beautiful peaceful surroundings that provide unequalled tranquility. A stay here can be a precious gift to one’s self. 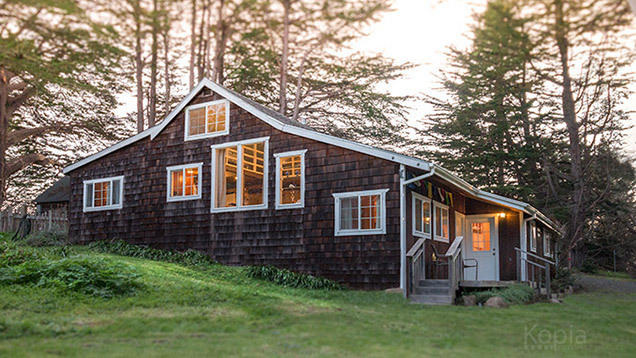 We have created two very different apartments in a magical hundred-year-old redwood barn that is nestled in the redwood forest at the Northwest corner of our property. 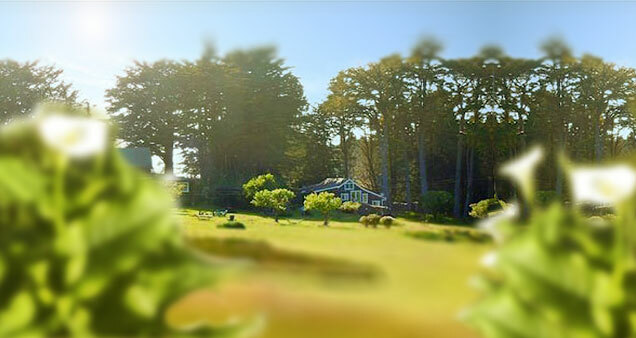 Behind the barn is a windrow of ancient cypress trees and - beyond that - is an uninhabited headland that extends to the edge of the wild North Coast of California and the Pacific Ocean. The Retreat at Thera is sophisticated country living at its best; the apartments are comfortably furnished and fully equipped. Each kitchen has a gas range with an oven, a microwave, a full-sized refrigerator, a blender, an automatic coffeemaker, an electric teakettle, and a toaster. It comes equipped with dishes, cutlery, pots and pans - everything you need to take care of yourself. There is always fresh olive oil, balsamic vinegar, and a selection of sweeteners, spices and teas for your use. We’ve done everything to make your experience here a pleasant one. There is an easy-to-use Jotul gas fireplace that casts a warm glow over the main room in each apartment. 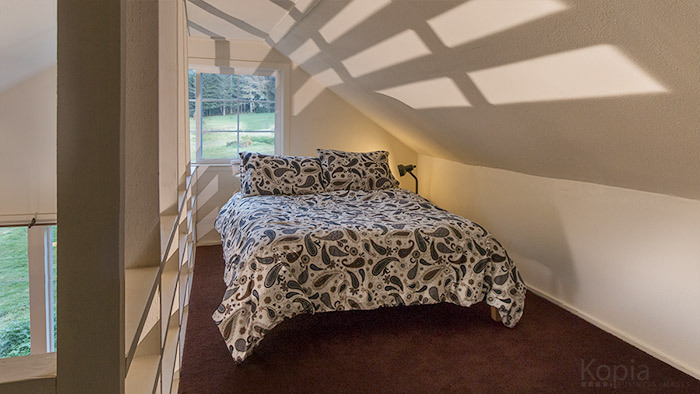 Perhaps best of are the beds - delicious "pillow-top" Queen sized beds complete with down comforters, luxury sheets, and four pillows - a little something extra to help induce good dreams. 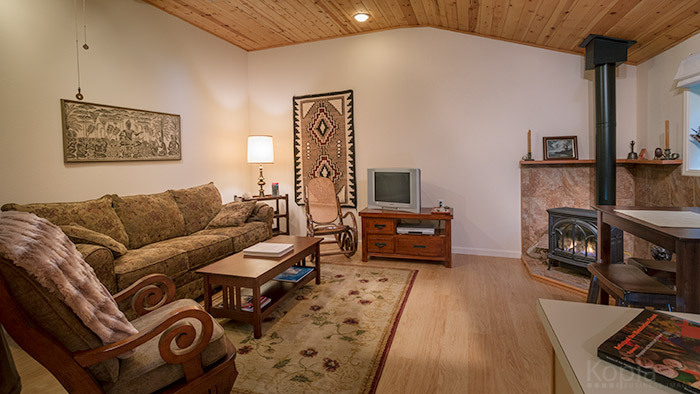 The Forest View at Thera is a fully furnished, cozy, very peaceful, apartment. 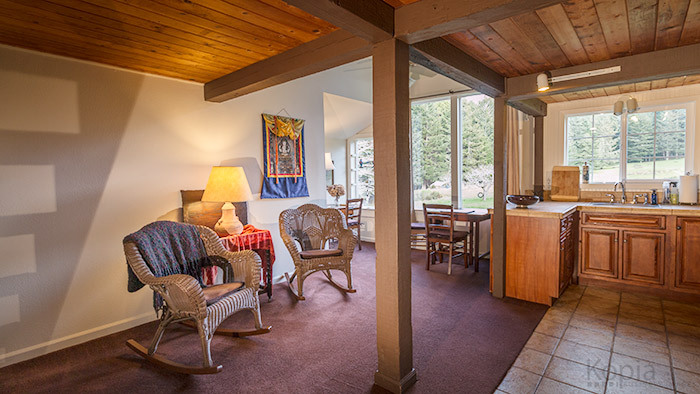 Its small deck overlooks a life-sized seated Buddha and - beyond that - the redwood forest. Skylights bring a warm glow to The Forest View even on foggy days. 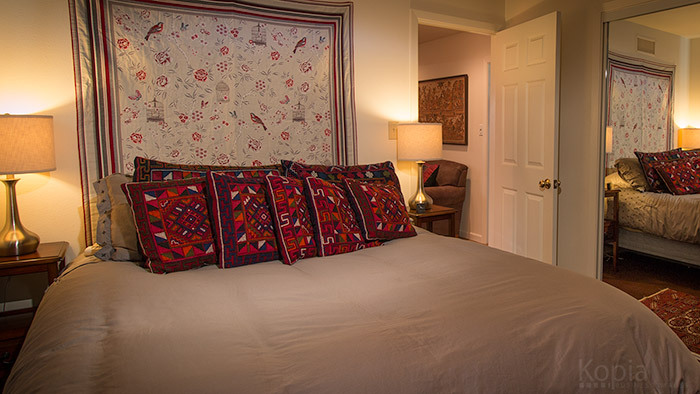 The bedroom has a queen-sized bed and plenty of closet space and the comfortable couch in the living room is a Queen-sized sleep sofa that can sleep another person or two. As an added touch, there is a TV monitor and video player for your videos and DVDs (we've left some of our favorites), a washer/dryer, detergent, and an iron and ironing board for your clothes. 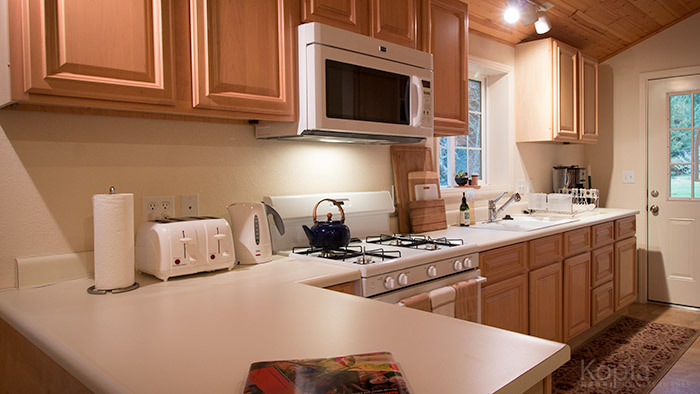 The full-sized kitchen is completely equipped for food preparation and serving. (This includes teas, some basic spices, olive oil, and balsamic vinegar). FREE WIFI is included and a high-speed Internet connection is available. Please - no pets, no smoking, no shoes. "The Meadow View at Thera"
The Meadow View at Thera is the larger of the two units with two separate bedrooms. One of these is a loft bedroom with a full-sized bed. 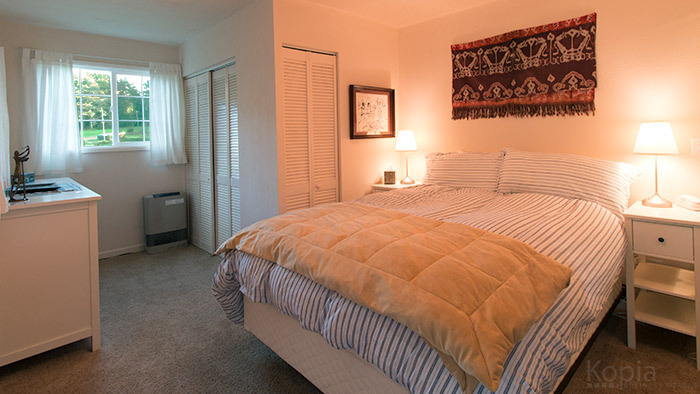 In addition to the main room and the two bedrooms, there is a library complete with books and a video/DVD player. Two inflatable airbeds are available for additional guests: a queen-sized airbed and a single airbed. You will also have a full-sized washer and dryer, detergent, an iron, and an ironing board. 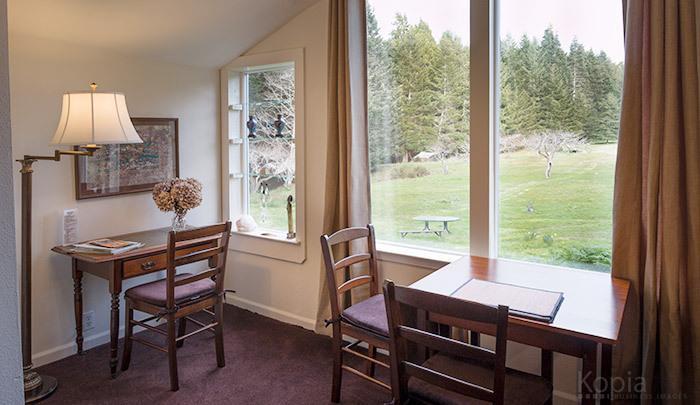 The full-sized kitchen is completely equipped for food preparation and serving. (This includes teas, some basic spices, olive oil, and balsamic vinegar). This sunny apartment faces the meadow with wall-to-ceiling windows and is a wonderful place to watch the skies - the sunrise, the moving mists, the moon and the stars. Since there is no ambient light in this area, the night sky is naturally dark and can be magnificent. If you are interested in making arrangements to come to The Retreat at Thera, please write to us and tell us about yourself - let us why why you are interested in coming and how you plan to use your time here. excellent local Voice Dialogue facilitators are to be arranged separately.